A hot potato: Bethesda could be facing even more problems related to Fallout 76. In addition to all the negative reviews, the game shipped with a slew of technical issues, leading to many players demanding refunds—not all of whom were successful. This has led to a law firm allegedly investigating the matter, and it seems to have its eye on a class action lawsuit. One of the many reasons why Fallout 76 has become Bethesda’s worst-reviewed game in 12 years is the many bugs it contains, including one that made players immortal. This resulted in a number of buyers asking for refunds, and while some had their requests accepted straight away, others were rejected on the grounds that those who “downloaded the game are not eligible." As a result of these refused refunds, Washington, D.C-based law firm Migliaccio & Rathod LLP claims it will be investigating Bethesda for deceptive trade practices. It has asked anyone who purchased the game and then tried and failed to get a refund to contact the company. “While minor bugs and glitches are expected with the release of most new games, Fallout 76 launched with a 56GB patch that has proven to be but a starting point for the game’s problems. Gamers who have tried to receive a refund because of the game’s myriad glitches have been unable to do so since they downloaded the game, leaving them to deal with an unplayable experience until patches bring it back to a playable state,” reads Migliaccio & Rathod’s post. Eurogamer notes there are reasons to be pessimistic over the law firm’s claims. Not only does it offer no evidence of an investigation, it often writes these type of posts without anything coming of them. There’s also the ZeniMax Terms of Service agreement that gives American players a 30-day window to “opt out” of a class action waiver, which must be done by post. After this period, lawsuits can only be filed on an individual basis. 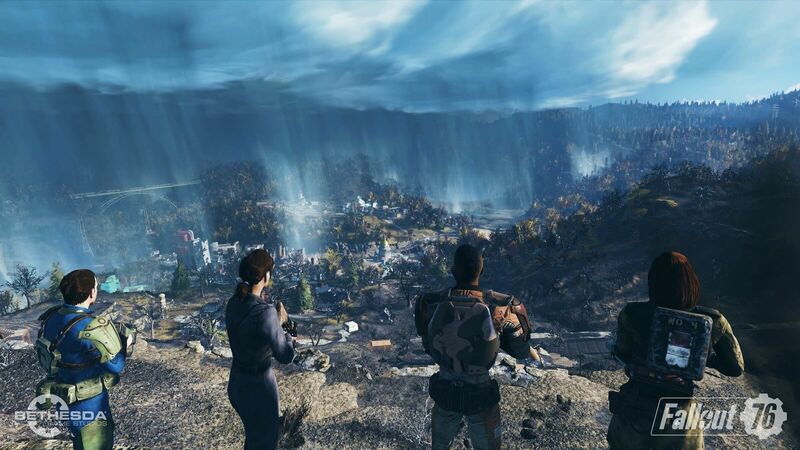 The whole situation has led to questions about whether this was why Bethesda never released Fallout 76 on Steam, where it would have had to adhere to Valve’s refund rules. With an 80 percent drop in retail sales compared to the last main entry in the series, Fallout 76 has already had its price temporarily reduced – down 33 percent to $40 – less than two weeks after launch. Is there any hope for Fallout 76? Could it ‘do a No Man’s Sky’ and eventually become a great game? We take a closer look at the situation here.